The Imperial Knights are mobile, towering fortresses that have enough energy and weapons to destroy an entire army on their own. Controlled by a high-ranking lord, these powerful war machines are not only known for their devastating projectiles, but also feared for their close-combat capabilities. To ensure that shieldbreaker missiles, reaper chainswords and conflagration cannons remain operational, you should make sure your Knights are properly stored aside from the battlefields. 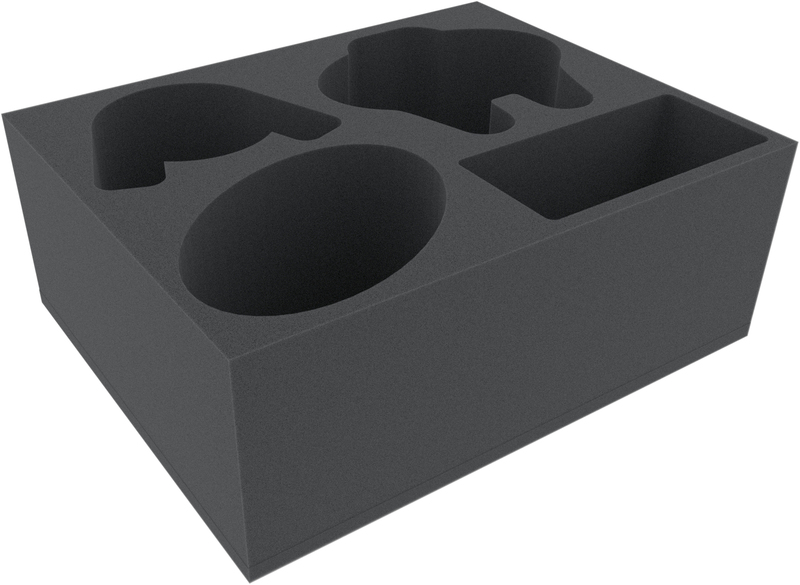 With our foam tray you are well prepared. The tray is divided into 4 individually tailored compartments. One large model (e.g. 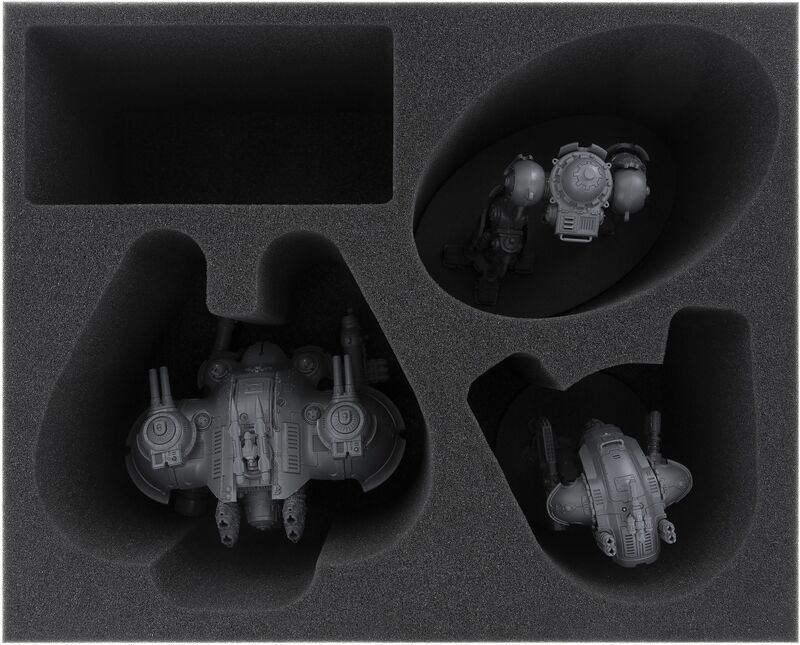 Knight Castellan, Knight Preceptor Canis Rex or Knight Valiant) can be safely stowed here in two parts - upper part with weaponry and lower part with legs. Surrounded by foam, the sensitive parts of the miniature are well protected, even during transport. To complete your long-range unit, the mat has 1 additional compartment that holds a smaller Knight of the Armiger pattern (e.g. Armiger Helverins or Warglaives). A fourth compartment is at your disposal and can be used as an arsenal where you can store unused weapons. The rectangular compartment is 159 mm long x 77 mm wide x 120 mm deep. 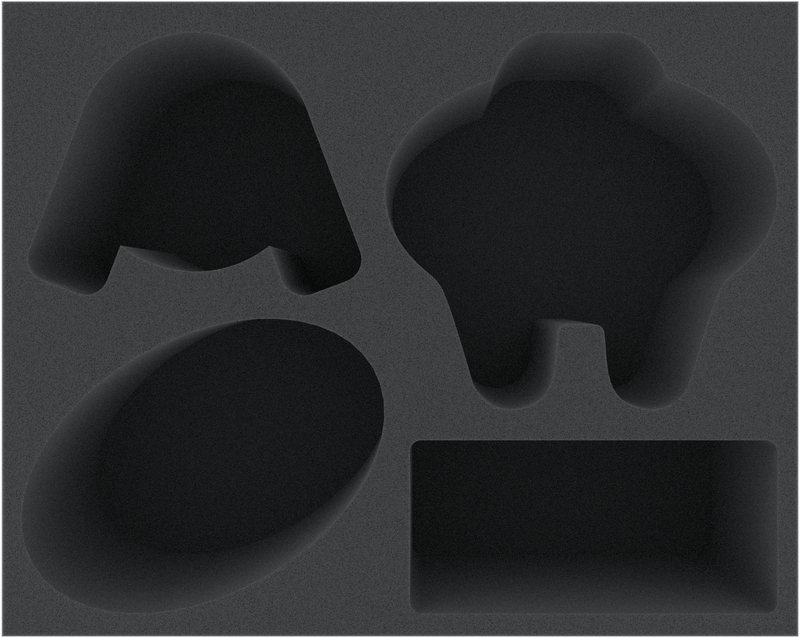 The Full-Size foam tray measures: 345 mm x 275 mm x 130 mm total height (120 mm usable height + 10 mm foam base).